Leonhard Lechner (ca. 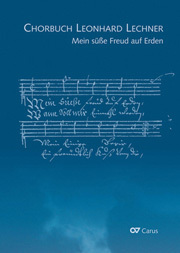 1556-1606) is one of the most important composers of Protestant church music prior to Heinrich Schütz. 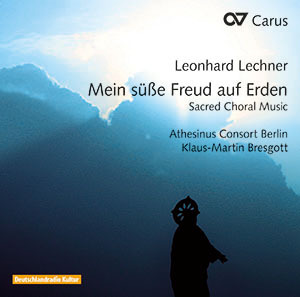 The Athesinus Consort Berlin presents some of his settings, taken from various collections, which underscore the development of the German sacred hymn. The ensemble's name is derived, incidentally, from none other than the composer himself, who took the name nickname "Athesinus" to signify Adige/Athesis in South Tyrol, which was probably his birthplace.